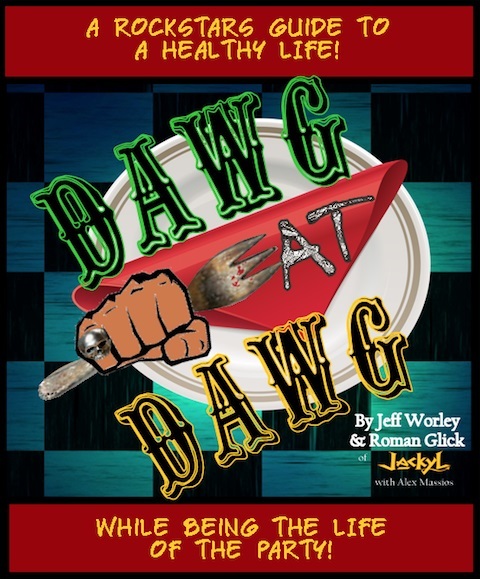 Guitarist Jeff Worley and bassist Roman Glick of long-running southern hard rockers JACKYL have co-authored a cookbook, "Dawg Eat Dawg: A Rockstar's Guide To A Healthy Life While Being The Life Of The Party". Described as a "fun and factual guide to exercise, fitness and eating healthy on the road," with additional chapters on "kicking drinks and weird food facts that will blow your mind," the book can be ordered through the band's Mighty Loud web shop or via Amazon.com. "Dawg Eat Dawg" is Worley's second book. In 2016, he self-published "No Filter: Stories Better Left Untold, Part 1", described as a chronicle of "some of his craziest endeavors and experiences" during his "over 25 years on the road as a professional musician." Along with his brother Chris on drums and vocalist Jesse James Dupree, Worley is a founding member of JACKYL and has performed on each of the group's eight studio albums. Glick, a former member of BROTHER CANE, joined the group prior to the release of 2002's "Relentless". Worley, Glick and Dupree recently discussed "Dawg Eat Dawg" and Dupree's American Outlaw Bourbon Whiskey with Dr. Burnbaum and Nurse Filomena of Psycho Babble. The full conversation can be viewed below. 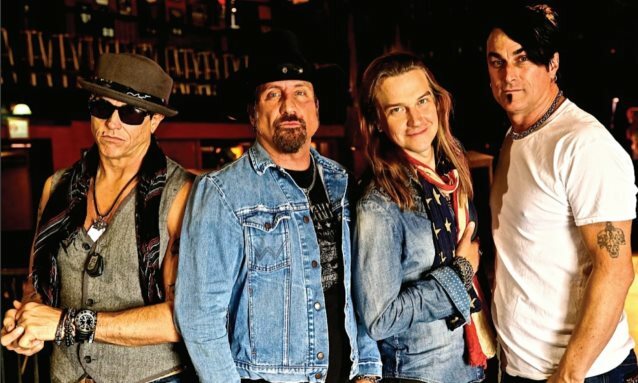 JACKYL continues to tour in support of "25", a career-spanning retrospective released last July to commemorate the group's twenty-fifth anniversary. Issued via Mighty Loud Records, the 18-track set features such radio hits as "Down On Me", "The Lumberjack", "Push Comes To Shove" and "When Will It Rain", as well as two previously unreleased tracks — a live rendition of "Redneck Punk" and a cover of BLACK OAK ARKANSAS's "Hot And Nasty".